We are here to present you with the general guidelines which you may follow to initiate your car insurance claim in UAE. But first, make sure to keenly understand the coverage your insurance policy provides. In case of a collision, it is advised to contact the Police immediately rather than bouncing into some argument with other driver. Let the Police handle the matter. – (Emergency Numbers: Police at 999 and Ambulance at 998). The police itself will inspect the whole scenario and the conditions of both the vehicles. Pro Tip: Keep it in mind that you need a police report to initiate your claim for car insurance in UAE. After informing Police, make sure to contact your insurance provider as well. Share every detail with your insurer and follow the instructions by the car insurance company in order to make the claiming process smooth. 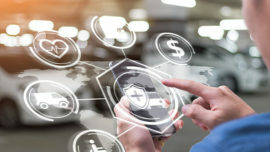 In case of comprehensive insurance policy, your insurance company will cover the entire loss – from medical to maintenance of the affected vehicles, everything comes under this type of policy. So do not worry about the extra expenses. But if you are having third party liability, the insurance company will pay only for the loss of other vehicle (in case, the fault was yours). Most of the insurance companies in UAE help you in providing towing or any other assistance if the vehicle is immoveable. As a part of car insurance claim in UAE, you will be needing the below mentioned documents. When to File a Car Insurance Claim in UAE? Every state differs to the other in case of its insurance laws, so is UAE. 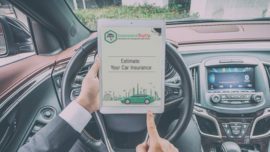 UAE car insurance online companies provide you with various terms and conditions while signing in for a particular policy. Mentioning here the circumstances in which you can apply for your motor insurance claim. If you are having comprehensive insurance policy, claiming it in case of accidental injuries will remunerate you for every injury in the form of medical expenses. So contact the insurer after having a collision to file your claim. If any damage occurs to your car in case of accident, you can leverage the compensation benefits through comprehensive insurance policy in UAE. Keep in mind that 3rd party liability does not favor the maintenance expenses of your car as it is favorable to compensate the expenses of the other vehicle only. So file a claim according to your policy to reimburse such expenses. • After collision, determine the type of car and body injuries and find out if anyone needs emergency medical treatment. • Indulging into argument with the other driver at accident site is of no use, so try to avoid it. • After collision, take your vehicle to the recommended garage for the repairs. If the injury is pretty serious, it takes time by the motor surveyors to find out if the repairs should be done or not. • Make sure to involve your vehicle insurance company into the entire process. If you are having any questions regarding your motor insurance needs, just! WhatsApp or call at 0565543022 and protect yourself on the road.